Our certified engineers in Wandsworth specialize in PC and Mac virus removal WITHOUT any loss of data or applications. Unlike other companies, we do not wipe any of your files or folders during Virus Cleanup. Our first priority is to protect our customers’ data and programs. We do everything we can to protect your valuable information. We charge a flat fee for Computer Health Check service. This service includes cleanup of viruses, Malwares, Trojans, Adwares and un-necessary services. 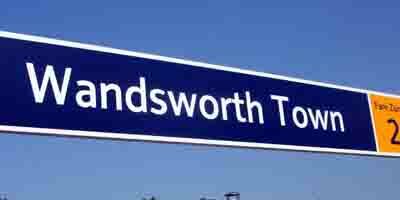 If you live in Wandsworth and want us to clean your computer then call us now on 0207 6100 500. We got this Windows 7 Dell Precision M3800 laptop from a Wandsworth client for virus removal. The laptop was full of adwares, malwares and viruses. It was so badly infected that it was not letting it boot-up, not even in safe mode. One solution that others offer in this situation is to format the hard drive and reinstall the operating system. However, that is only possible when there is no useful data in the computer or the customer does not need the data. In this situation, the customer from Wandsworth had a lot of pictures in the hard drive that she did not want to lose. We took out the hard drive and connected it to our workstation to start the scan/cleanup. The cleanup was successful and we got rid of all the viruses without losing a single file on the laptop.